Science fiction was an ongoing influence in Latham’s work. Surrealist H.R. 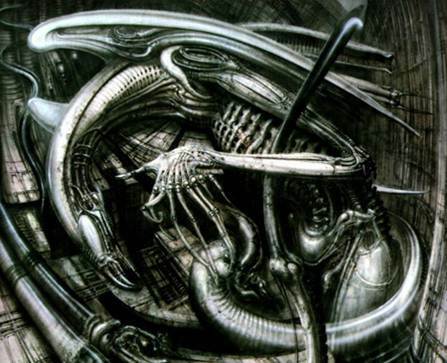 Giger’s science fiction designs for Ridley Scott’s Alien were an inspiration for Latham, who suggested that he would like to set the tone for a motion picture through his art in the same way Giger did for Alien.